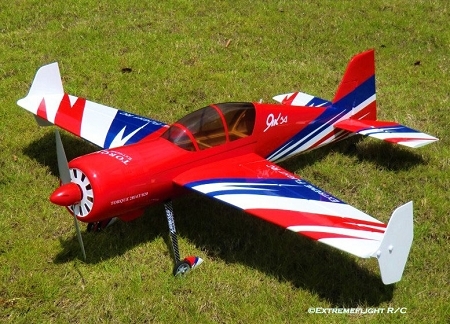 Extreme Flight RC has close to a decade of experience with the YAK-54 design, having released our first model of this iconic aircraft in 2004. We have produced the YAK-54 in 68 inch, 87inch, 47.5 inch, 74 inch, 88inch and 110 inch versions as well as a 48 inch profile version and the soon to be released 91 inch version. It has represented us well in competitions around the globe in the hands of some very talented and demanding pilots, having won countless IMAC contests, the IMAC NATS, placing well at several XFC competitions as well as being a favorite among "weekend warriors" at local flying clubs worldwide. The YAK-54 has been our "bread and butter" so to speak and we've had the opportunity to spend a lot of time honing and tweaking our design. It was only natural for us to plug the YAK into our EXP formula and see what we could come up with. The result is the new 48 inch YAK-54 EXP! The YAK-54 EXP follows the same tradition of our previous EXP releases by throwing the rule book out the window and setting out to create the best flying version possible of this aerobatic legend. Pulled, stretched and tweaked to provide maximum aerobatic performance, the YAK-54 EXP features the ridiculously oversized control surfaces, innovative construction techniques and unparalleled flight performance that has made the Extreme Flight EXP series legendary among aerobatic enthusiasts. The YAK-54 EXP shares the unique features of previous releases including cutting edge laser cut interlocking construction techniques, carbon fiber and G10 reinforcement that actually strengthens the airframe rather than simply raising the "bling" factor, carbon fiber wing tube, main landing gear, and tailwheel assembly and 2 gorgeous Ultracote color schemes set off by matching painted fiberglass cowl and wheel spats. A complete quality hardware package is included as well as a decal package to personalize your YAK. As with all of the EXP series, the proof is in the amazing flight performance! The As with all of the EXP series, the proof is in the amazing flight performance! 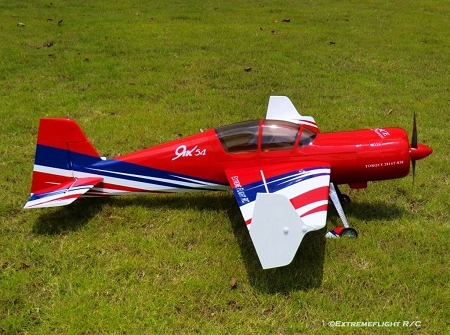 The YAK-54 EXP excels at precision aerobatics and 3D flight. Quite possibly the most axial rolling aircraft in existence, the YAK appears to roll around the center line of the spinner, making for an incredible visual appeal during rolling harrier maneuvers and precision point and slow rolls. 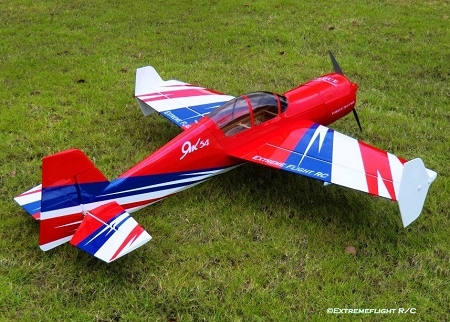 The amazing pitch authority provided by the EXP elevator allows the YAK to rotate around its wing tube and perform all sorts of aggressive gyroscopic flips and tumbles. It is rock solid in both upright and inverted harrier maneuvers and easy to control in hovers and torque rolls. With control surface rates reduced the light wing loading of the YAK makes for a great sport flying aircraft for intermediate flyers with some balsa ARF flying experience. 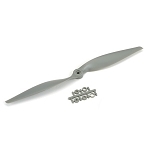 Wingspan: 48 inches Length: 48 inches Wing Area: 500 sq. in. Weight: 46-52oz.